Premier Spine & Pain Management is an oasis of healing in New Jersey and Pennsylvania. The highly skilled doctors and compassionate staff are dedicated to alleviating and resolving any chronic discomforts that might be hampering your quality of life. With doctors that are all board-certified in pain management and consistently on top of new techniques and developments in the field, patients know they’ll not only find relief from their pain, but do so with the most efficient and effective means available to modern medicine. And with a personal touch to patient care that focuses on compassionate treatment and minimally invasive procedures, patients begin to feel relief almost as soon as they walk in the door. 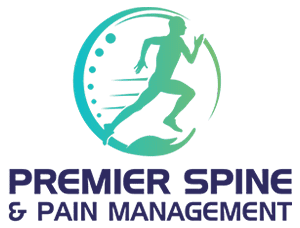 Premier Spine & Pain Management specializes in anesthesiology, pain management, sports medicine, and vein ablation treatment, but the doctors are highly qualified in treating a wide range of issues. Whether it’s relief from sciatica or joint pain, or people are curious about stem cell treatment or nerve conduction studies with electromyography (EMG), Premier Spine & Pain Management has the tools and knowledge to make people feel their best. Nobody should have to live under the oppression of chronic pain. Premier Spine & Pain Management can unshackle you, so let its professionals reintroduce you to pain-free living. "Dr. Kandra has gone above and beyond to help me both pre and post surgery. He even went out of his way to contact my surgeon to make sure my surgery was successful." "Dr. Kandra has helped me to feel better and still working on reducing pain and nailing down underlining conditions. He is very friendly and understanding." "I've been a patient of Dr. Kandra for several years. He has been there for me through my back fusion, and stimulator implant...cares about your well being." "I have been in pain for more than 10 years and now i am on the path to a pain free life thanks to Dr. Das." "Dr. Das has been helping me with pain management since 2000. He always addresses the issues and never makes you feel inadequate for needing pain management." "I've been suffering from non-stop migraines and Dr. Das was called in as a consulatant. It was obvious he was busy but I found him to be thorough and knowledgeable."